The Alexander formal dining collection showcases traditional style that is designed to impress. Crafted from select hardwoods, cherry and burl veneers, these impressive pieces allow you to furnish a dining room that will be a hit with guests whether it is a party or a holiday occasion. 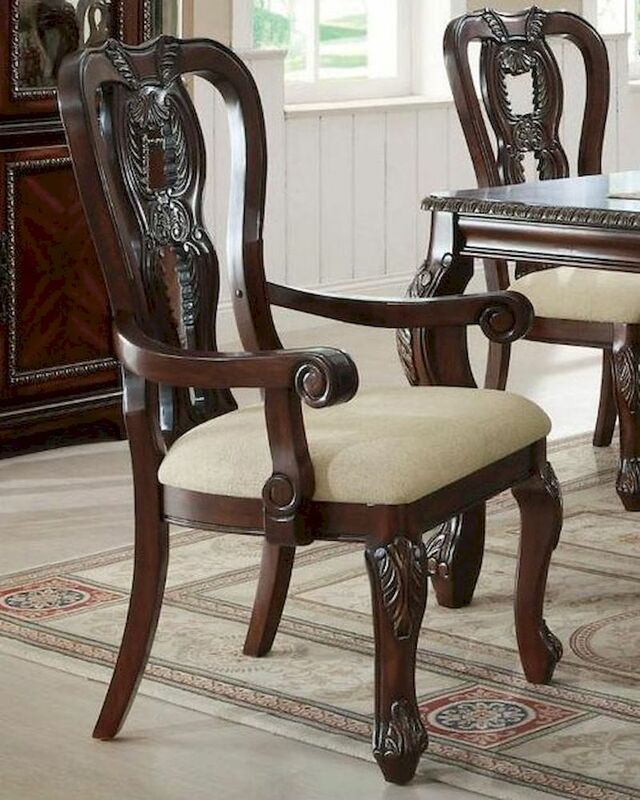 The Old World look includes intricate carvings, sculpted bases, and cabriole legs. This traditional arm chair with a neutral color upholstered seat cushion provides comfort at the head of your table. The cabriole front legs and ornate pierced chair back echo the style of the coordinating dining table with a scrolling acanthus leaf motif.